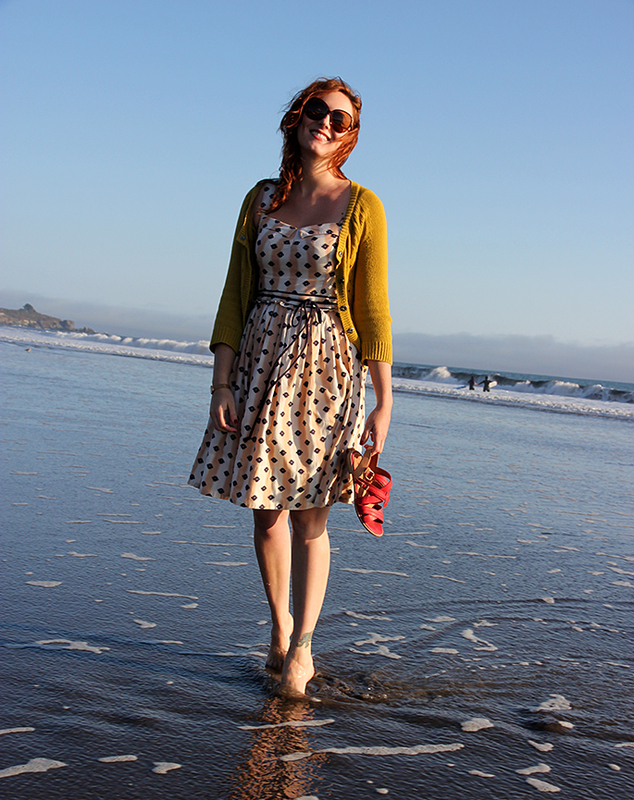 Dress and Cardigan: Anthropologie. Shoes: Schuler and Sons. Sunglasses: Warby Parker. Watch: Skagen. Just when I thought that summer was going to skip over San Francisco completely… it arrives. I absolutely love the Indian summers in the Bay Area. 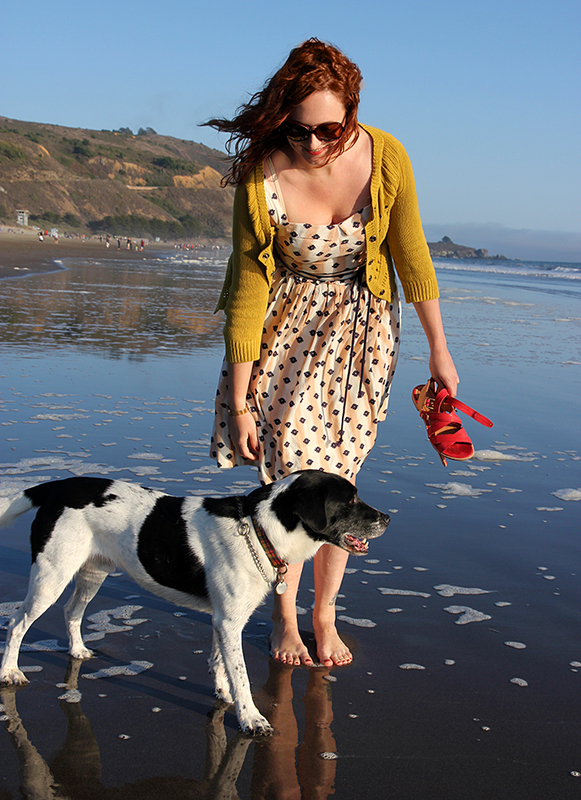 This past weekend the Mister and I decided to take full advantage of the warm weather by taking a day trip to Stinson Beach with the dog. Not a bad weekend overall… how was yours? Lovely shots of what looks like a great day at the beach! Your dress so too adorable for words, but those sandals are a must have….TOO CUTE! i love these shots! that dress is beautiful on you, and the beach weekend sounds fabulous! So pretty, Rebecca!! Looks like a fun day! Love that dress!